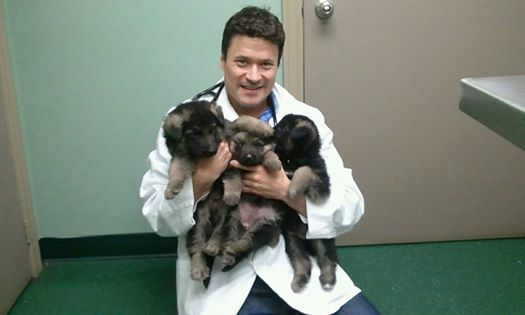 Caledonia Veterinary Clinic puppy love with Dr Daniel Yeulett. One of Dr Daniel’s favorite breeds! These German Shepherd puppies loved being cuddled!